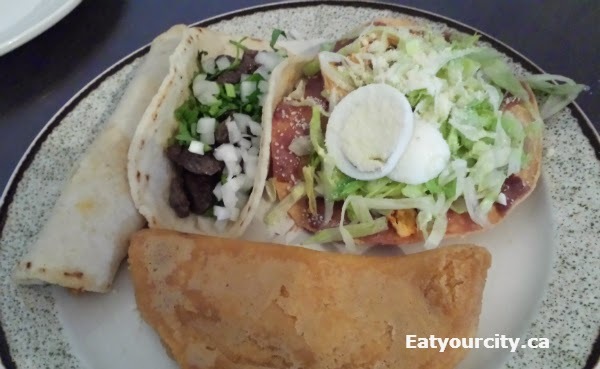 One of our good Salvadorian friends was in town and he was craving the Mariachi tacos from Acajutla (even though he was flying out to visit family in El Salvador the next day!) 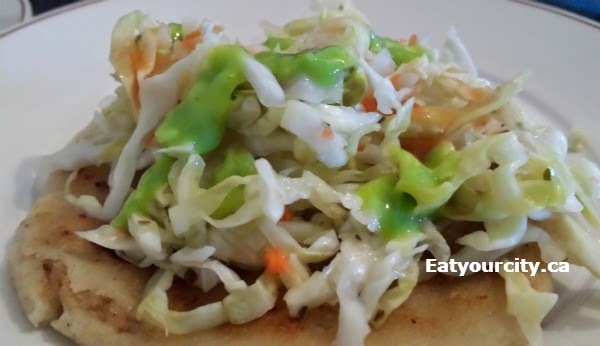 We rounded up the crew to give him a proper send off - with a tummy full of tasty El Salvadorian fare! 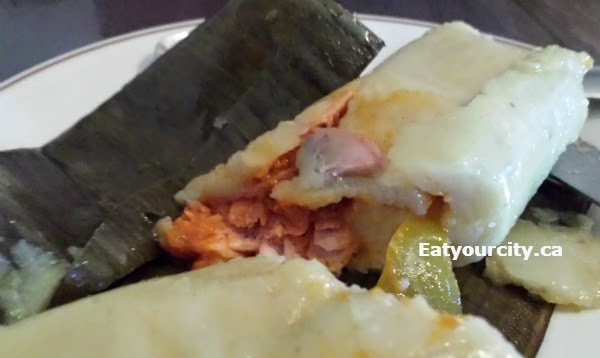 We started off with our favs... Mixed pupusas - piping hot in house fluffy corn tortillas are stuffed full of chicaron (seasoned pork ground into a smooth pâté) and melted cheese. 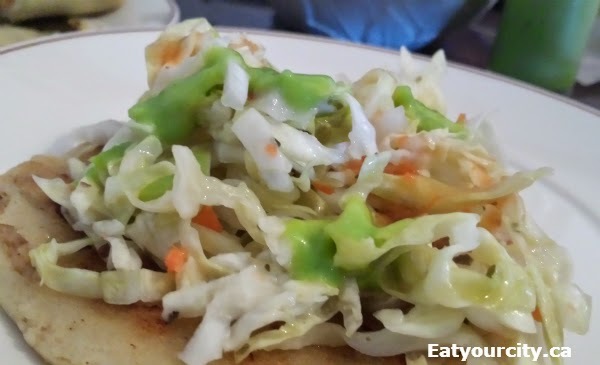 ... which we quickly load up with curtido (pickled cabbage slaw), salsa roja (tomato based thin hot sauce) and their avocado chili sauce... so much so that our friends told us they've never seen anyone enjoy the condiments as much as we did in El Salvador. Nom! 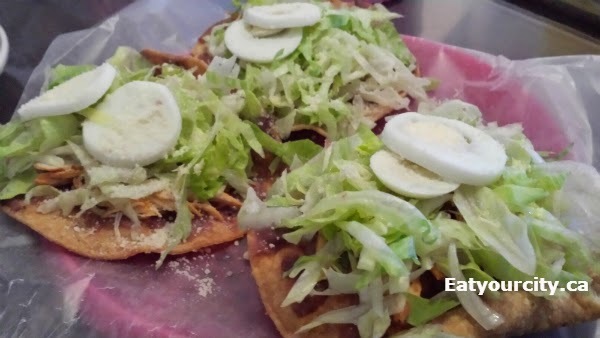 The Tostadas was another fav with a bed of deep fried crisp mini tortillas topped with refried beans, a sprinkle of cheese, lots of shredded iceberg lettuce, sliced hard boiled eggs, bright refreshing tomatoes, and a heap of Parmesan cheese.. 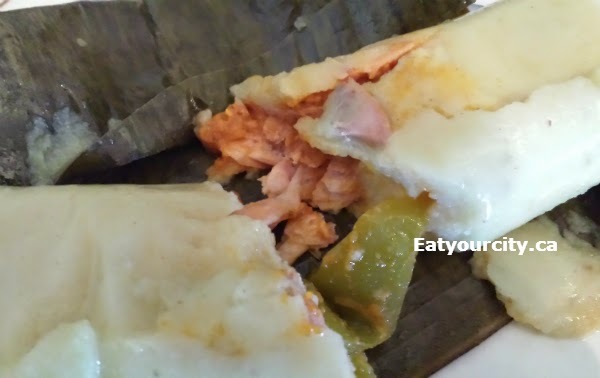 The Chicken tamale was reminiscent of a Vietnamese or Chinese banana leaf wrapped rice package.. it had a few pieces of seasoned chicken encased in a starchy, sticky corn based dough, all wrapped up in a leaf wrapper - it was simple, filling and tasty! 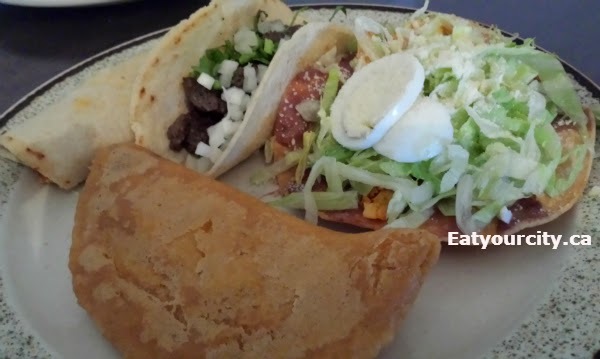 We ordered a Combination Plate which included a tostada, a deep fried pastel (a tasty deep fried beef? 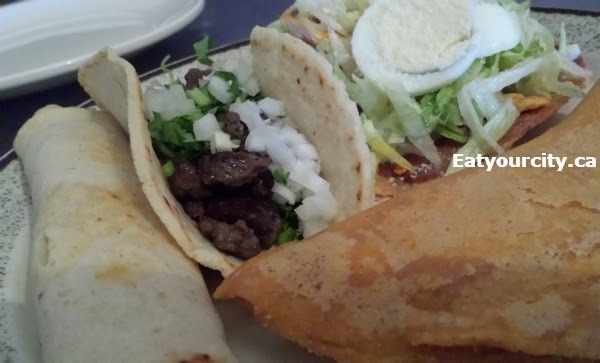 hand pie), chicken fajita, and mariachi (beef tongue) taco for my boyfriend while O ordered a plate for himself lol! 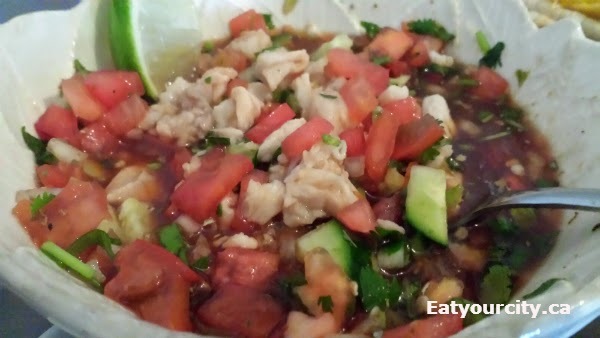 The beef tongue was well cooked to a tender fall apart and the tacos disappeared quite quickly! We had ordered more food for our big table, but I didn't take pics of everything as everyone was busy digging in! 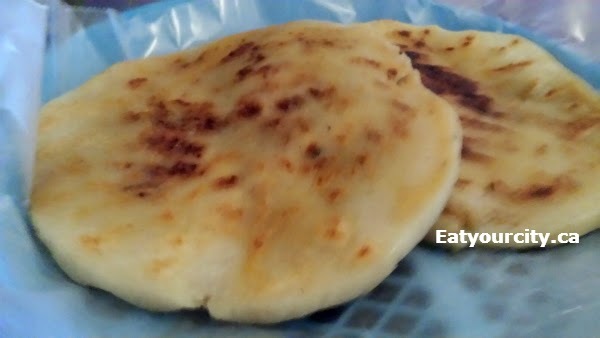 Great pupusas and a taste of El Salvador right in the heart of Edmonton!